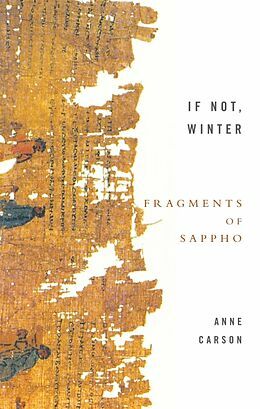 From the critically acclaimed poet and classicist Anne Carson: a brilliant new translation of the work of Sappho, together with the original Greek. During her life on the island of Lesbos, Sappho is said to have composed nine books of lyrics. Only one poem has survived complete. In IF NOT, WINTER, Carson presents all the extant fragments of Sappho's verse, employing brackets and white space to denote missing text - allowing the reader to imagine the poems as they were written. Carson says of her method of translation: 'I like to think that, the more I stand out of the way, the more Sappho shows through.' And certainly her translation illuminates Sappho's reflections on love and desire, her companions and rivals, the goddess Aphrodite, her own daughter, Kleis. IF NOT, WINTER gives us an extraordinary ancient poet brought alive by a brilliantly empathetic contemporary poet. Complete with Carson's introduction and notes, it will become the standard translation of Sappho for our time. Imaginatively presented and superbly prefaced, this collection is both heartrending and uplifiting. Anne Carson is the Director of Graduate Studies, Classics, at McGill University. She was twice a finalist for the National Book Critics Circle Award, and has been the recipient of a 1996 Lannan Award and a 1997 Pushcart Prize for poetry. 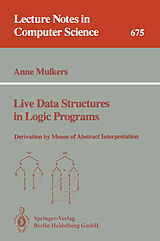 She was the recipient of the 2001 T.S. Eliot prize for poetry. New translation of the work of Sappho, together with the original Greek.